The Talmud tells us of a discussion between four rabbis in the mid-2nd century: Rabbi Yose ben Halafta, Rabbi Yehuda (bar Ilai), Rabbi Simeon bar Yochai (Rashbi) and Rabbi Yehuda ben Gerim. Rabbi Yehuda praised the Romans: Look what good things they build - markets and bridges and bath-houses. Rabbi Yose didn't take a stand, but Rashbi spoke up against the idea: everything they built, they built for their own use or to make money off us. Rabbi Yehuda ben Gerim reported the conversation to the Roman authorities, and they in turn lauded Rabbi Yehuda and sentenced Rashbi to death. Rashbi fled, and together with his son, hid in a cave for a dozen years. In "Life of Brian", Monty Python spoofed this rabbinic discussion. In this skit the Jewish rebel leaders discuss 'what have the Romans ever done for us?'. With this short Aggadah our rabbis showed us the different ways of looking at an occupying force. But the Romans were not the only occupiers throughout our long history. How did Jews view the Muslim occupiers? Pirke De-Rabbi Eliezer is an Aggadah-midrash compiled in the first centuries of the Muslim occupation (7th-9th). In chapter 30 we find a list of things the Muslims did in Israel. and two brothers will rule them at the end, and in their days Messiah will come." This midrash depicts the events of the early days of the Muslim occupation, in the 7th century. The Muslims conquered Israel in 636. The 'two brothers' are Abd Al-Malik and Abd Al-Aziz. Abd al-Malik, the 5th Umayyad Caliph (685–705), instituted several reforms, which are reflected in this midrash, as we'll see below. Academic opinion is divided on this midrash. Some say that it lists both bad (1-10) and good (11-15) things the Muslims did. There's even an opinion that these were two separate lists which were compiled together. Others think that all fifteen things listed were bad for Israel. A new occupier had come to the land. As with the Romans.. was it good that they built bathhouses and bridges, or was it only done for their own use, and Israel will suffer no matter what? Let's look at the breakdown of this list. The new rulers surveyed the land in order to levy taxes, but more importantly, in order to divvy it up among the new owners. Throughout history, Arab desert tribes living at the edge of the civilized world fought to enter the land. With the Arab conquest, the doors were flung open for massive immigration. The Arab invaders encouraged additional immigration into 'Greater Syria', to settle people loyal to the new Arab/Muslim rulers, and to protect from future attacks by the Byzantines. In the first years of his rule, Muawiyah I, the first Umayyad Caliph (661 – 680), settled here an army of 5000 Slavic mercenaries. We also know of Persians and an Indian tribe who came here. The Arabs were merchants and nomadic herders, and despised agricultural work. The new occupiers therefore gave out land in payment for services rendered, and to ensure that the new settlers stay. As another Muslim-era midrash, Nistarot Rashbi (The Secrets of Rashbi), says: "They are going to measure the land with ropes, as it says (Daniel 11, 39) 'And [he] shall divide the land for a price'. This left the Jews as serfs on the land they formerly owned, and they had to pay their new landlords for the privilege of working the land. The direct result being that Jews, who until then lived off the land, were pushed out of farming life. The Arab hordes brought in their flocks, and the land was overrun by grazing animals. The 'Secrets of Rashbi' midrash quoted above continues: "And they turn the cemeteries into grazing lands for sheep and goats, and when one of them dies, they bury him any place they find, and then they plough the grave and sow over it, as it says (Ezekiel 4, 13) 'Even thus shall the children of Israel eat their bread unclean'. Why?" The midrash explains: because the fields weren't being purified anymore. This might explain why we don't have many ancient cemeteries from those days. This relates back to point #1. All land was divvied up, including cemeteries and the mountain agricultural plots. After centuries of fighting off the Christians who claimed to represent the 'new truth', a new religion appeared on the scene. The Islamic conquest and expansion caused concern among the Jews. The lie of Islam was taking hold, while the truth of the Torah was hidden. Another opinion says this talks about moral issues among the Jews, caused by the Muslim conquest, and not about the Islamic expansion itself. The Jewish Beit-Dins lost their power. This might also reflect the messianic hopes of the day, as this phrase is mentioned in Micha 7:11, and taken to mean that in messianic times, some Jewish law will not be required anymore. The midrash points out that the 'law is distant', not because Redemption is close, but because the Jews are sinning. According to a different manuscript version, #7 is talking about the worsening financial situation. The clothing industry, and specifically the crimson industry, was destroyed. The expensive crimson was replaced by simple wool. Until then, real Techelet (blue dye) was used in tzitzit, as we see in Midrash Tanhuma, which was compiled in the early 9th century (Shelach Lecha, 15): "The commandment is to use White and Techelet to make [the tzitzit]. When? When there will be Techelet. And now that we only have White and Techelet is hidden, the commandment is to use White." This is linked to the fact that the Jewish towns in the area between Hebron and Beersheba (ie, 'Daroma', south) were dying out (or being destroyed). Before the Muslim conquest this area was known for its crimson industry. In Tanhuma (Naso, 8) we find a discussion about whether a Cohen can bless the people with hands dirtied by paint. Rabbi Hoshaiah ha-Gadol says "If most of the townspeople work with it, he can bless the people, just as in the south there are skins (or: towns?) painted crimson, and their hands are dirtied by paint." Some think that, similarly to #8 above, this is a reference to the destruction of the paper industry. Others think that this talks about the lack of Torah scholarship. Interesting to note, though, what the Babylonian Talmud scholar Pirkoi Ben Baboi (9th century) wrote: while the Byzantines forbade the Jews from learning Torah, "The Ishmaelites came and allowed them to engage in Torah study". In 693, Abd al-Malik instituted a mint and started coining Islamic currency, featuring Koranic quotes. The Byzantine coins were taken out of circulation, and the Jews who held the old Byzantine coins lost their money. The new Arabic-language coins were also a sign of another reform: The far-reaching plan to integrate all foreign elements into a new Arab nation. After a millennia of Greek cultural hegemony, Arabic was now the official language of government. Abd al-Malik rebuilt the destroyed towns: Ashkelon, Caesarea and Tyre. He marked the roads with new milestones. He also set up the first postal service. Researchers debate whether these points were brought as good or bad things. The Muslims did not rebuild the town and plant gardens for the Jews' sake. Abd al-Malik mileston: "from Iliya (!!) to this milestone, it is eight miles." Once again, there is a debate on whether this was good for the Jews of the time. "The second king of Ishmael will be a philosemite (! ), and will repair their breaches, and the breaches of the Temple (Heichal), and will dig Mount Moriah and flatten it, and will build for himself there a place of prostration on the Foundation Stone (Even ha-Shtiya), as it says (Numbers 24,21): 'and though thy nest be set in the rock'. The second Muslim Caliph, Umar, allowed Jews to live in Jerusalem ('repaired their breaches'), after years of being banned from the city under the Byzantines. The Byzantines had turned the Temple Mount into the city dump. Umar is credited with clearing up the trash (digging and flattening). The Jews participated in this cleanup job, and saw this as the first sign of Redemption. In this midrash Umar is portrayed as a modern-day Maccabee. The Greeks had made thirteen breaches in the wall surrounding the Temple. When the Temple was re-captured by the Hasmoneans, they repaired the breaches and decreed that anybody who passes them should prostrate and thank G-d for Israel's victory and the Greek's demise. Umar too 'repaired the breaches' and 'built a place of prostration. "Muawiyah son of Abi-Sufyan (Muawiyah I) will rule after him, and the Lrd will stir up his heart and he will build the walls of the Temple (…)"
" (…) and he will build the House of Hashem, the G-d of Israel (!) (…) and his name is Abd Al-Malik son of Marwan." The 'structure in the Temple' and 'House of Hashem' refers to the Dome of the Rock, built in 691 by Abd al-Malik. For political reasons, Abd al-Malik didn't want his subjects making Hajj to Mecca, and so he built the Dome of the Rock and presented the Temple Mount as the Muslim alternative. The Muslim focus on the Temple Mount inspired Jewish messianic hopes. However, it had severe repercussions, which we're still suffering from today. Abd al-Malik later built the al-Aqsa Mosque, and appointed Jews to clean and take care of it. Jews were also in charge of the lamps and wicks. We can only imagine what those Jews felt, once again serving on the Temple Mount! Gradually the Jews lost their rights on the Temple Mount, and in the days of Umar II (717-720), they were kicked out of municipal administrative positions in Jerusalem, and replaced by the Caliph's slaves. So, what did the Muslims do for us? They developed the country, allowed Jews to settle in Jerusalem and cleaned up the Temple Mount from the dump the Byzantines had made of it. During most of the Muslim period (7th-11th centuries), Jews were able to pray on the Temple Mount. From the Jewish point of view, Jerusalem and the Temple Mount were worth all other troubles. So? These are all good things, right? But some might say, they developed the towns for their own commerce, the land to levy taxes, and the Temple Mount for their own religion, and we're stuck with that till today. We are now in the week between Jerusalem Day and Shavuot. On Jerusalem Day Rav Goren walked into that 'House of Hashem' on the Temple Mount with a Torah scroll in his arms. On Shavuot we stay up all night learning it. Shavuot is a great opportunity to familiarize ourselves with the Torah writings of our rabbinic ancestors here in this land. The two midrashic works I quoted above - Pirke De-Rabbi Eliezer and Tanhuma - are easily obtainable at every Jewish bookshop. Spend some of your Shavuot learning, listening to the voices of our forefathers who 'stuck it out' in the Land during the Exile. I missed the Asifa. Admittedly, I wasn’t planning on going, though I do feel jealous of those software developers who managed to get 50,000 men (and an unknown number of women who participated remotely) to pay actual money to listen to a multi-hour sales pitch of their products, and then have their community leaders tell them to go buy them, which on top of that, they probably will. Now that’s marketing to a captive audience. Obviously internet filtering is important if you have kids in the house, and I guess for a closed, insulated community being hit on the head with the outside world it warrants an outing to Citi Field on a Sunday to find out how to protect yourself (and to get out of the Beis Medrash on a Rabbinically sanctioned field trip). But in my mind, I was comparing it to another mass gathering that same Sunday - one I participated in with my family. 30,000 people, a significant number of them teenagers, mostly religious, gathered together to celebrate one of the modern, open, unexpected and important miracles of our day, the reunification of Jerusalem. I admit that at one point I wondered, which gathering was the bigger Kiddush Hashem? But mostly I asked myself, which one would inspire my children about the beauty and possibilities of Judaism? A public gathering that demands yet even more conformity to community social pressures and standards, this time only to buy a kosher phone, or use an internet filter with the proper hechsher, or a gathering that thanks God for the incredible gift he gave us that actually we prayed for. Obviously, one gathering isn’t mutually exclusive of the other. I’m sure many of the Israeli yeshiva students who marched yesterday have internet filters in their homes. But I wonder, how many men at the Asifa said Hallel that morning, or at least didn’t say Tachanun in commemoration of the miracle that occurred for all of Klal Yisrael, that they too benefit from whenever they visit their national homeland. There is a better version of this clip online, but it cuts off halfway through. This Sunday we'll be celebrating 45 years to the reunification of Jerusalem and the reunification of the People of Israel with the Land of Israel. Throughout the Byzantine period the Golan was a densely populated Jewish area. The Jews of the time considered it a completely Jewish region, an extension of the Galilee which was the most Jewish region in the land. Samaria, as its name implies, was a Samaritan center. The region's main city, Shechem (Nablus), had a small Jewish community. In 1831 Arabs in Shechem rebelled, and holed up in Sanur. 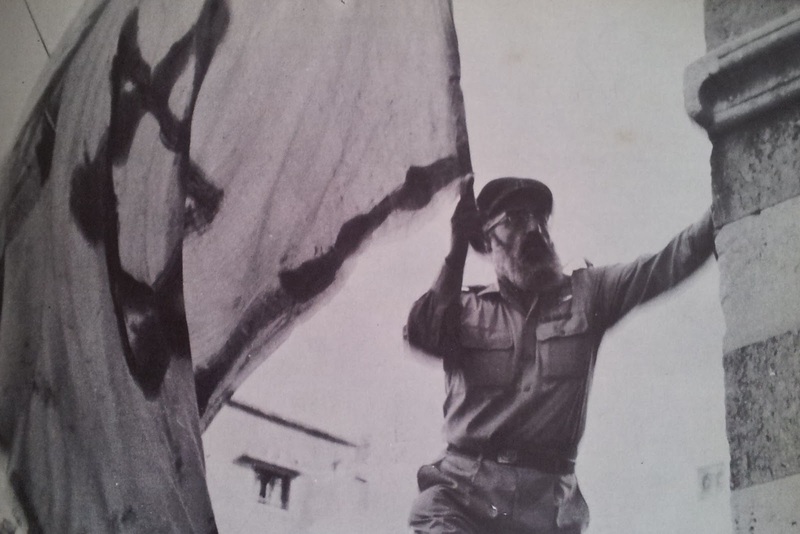 One hundred Jews from the Lebanese towns of Deir el Qamar and Hasbaya were sent by the Druze Emir Bashir II to quell the rebellion. They succeeded, making a name for themselves. Jewish soldiers fought in Samaria again in WWI, when the Jewish Legion was stationed at the front which spanned from Jericho north-westward to the coast. In 1906 the extended Shertok family leased a farm in Ein Sinia, hoping to establish the first Jewish farming community in the mountains of Ephraim. They established an olive press and employed both Jewish and Arab workers. However financial difficulties, among others, finally forced them to abandon the effort. The family's son, Moshe Sharett later became Israel's second prime minister. Today it is sometimes dangerous for Jews to travel the roads. It may not be very comforting to know that in this we continue a long-time Jewish tradition. As recently as a century or two, any Jew going from one city to another said Hagomel - the prayer of thanksgiving - for succeeding in making it alive. Which brings up a sad fact of Jewish life: Responsa books are filled with stories of Jews who were killed on the roads. Today, these stories remind us that though life was extremely difficult, Jews clung on to their homeland. Just a couple of stories: In 1665 three Jewish merchants were ambushed and killed in Rantis on their way from Shechem to Lod. The Arab Riots of 1936 started with the murder of two Jews on their way from Tul Karm to Shechem. In the mid-17th century Eugene Roger, a French priest, reported that there were 7-8 Jewish households in Timnat Heres (Kifl Hares), along with around 60 Muslims. Timnat Heres was one of several spots on the itinerary of the Jewish pilgrim. These included Shechem, Awarta, Shiloh, Nabi Samuel (Tomb of Shmuel), Bethlehem, Tekoa, Halhul and Hebron. 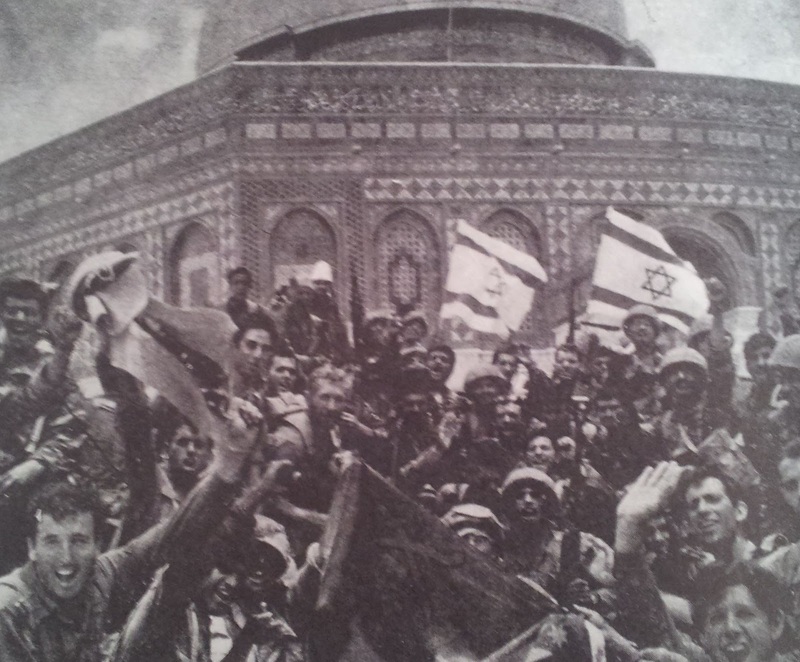 Prof. Joshua Prawer points out that the pilgrimage was as nationalist as it was religious. Jews connected and laid claim to the land by associating themselves with their forefathers, the Jews who lived here before them. Jews lived in Jericho during the Byzantine period. However, as Jericho became a more intolerant Christian city, its Jews moved out to Naaran. Christian sources describe Naaran as a proud Jewish town. After the Muslim conquest, Jews returned to Jericho and built the famous "Shalom Al Israel" synagogue. 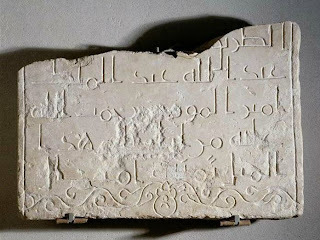 Jews exiled from Arabia by Muhammad made their way to the Jordan valley and what is today northern Jordan, where they kept a distinct ethnic identity. A Muslim historian records a meeting with one of the Jews of Khaibar in Jericho in the early 8th century. Judea, as can be seen from its name, was a hub of Jewish life, well into the Muslim period. In the Byzantine period the region between Hebron and Beersheba was named "Daroma" (The south). Some of the more well known Jewish villages in Daroma were Yuta (Yatta), Eshtamoa (As Samu'), Susya, Carmel and Maon. Once the small Jewish towns and villages disappeared in the 9th century, the main Jewish presence remained mostly in Jerusalem and in Hebron, where nearby Jewish villagers remained as late as the Crusader era. Though most Jews lived in Jerusalem itself, a passing traveler in the 14th century tells of Jewish pottery makers who lived in caves of the Valley of Hinnom. Turkish court records tell us of Jews who bought orchards all around Jerusalem, including Sheikh Jarrah, Beit Hanina, Sur Baher, Beit Mazmil (Mount Herzel), Lifta, Qalunya (Motza), Sataf , Malha, al-Walaja, Al-Eizariya (Bethany), Beit Safafa, Beit Iksa and Samwil. Samuel's Tomb (Nabi Samwil, Rama) was a focal point of Jewish pilgrimage throughout the post-Crusader era. The Jews bought the burial cave and built a synagogue and residences on the site, as well as facilities for the many pilgrims. The place was confiscated from the Jews in the 16th century, but Jews continued buying property (land and businesses) in order to hold claim to the site. In the 16th century Sephardi Jews attempted to establish a farming village there, unsuccessfully. The Jews were banished from the synagogue but continued to pray in the burial cave until the early 18th century, when the authorities closed off the cave and turned the site into a mosque. Jews from Jerusalem settled the place again in the late 19th century and were later joined by a dozen Yemenite families. The village, Nachalat Israel - Rama, suffered greatly from the Arab neighbors, and in the 1920s the place was abandoned. The Jewish community in the Gaza region centered in Gaza City. The city's synagogue is from the late Byzantine era (the synagogue mosaic is displayed in the Israel Museum and the Mosaic Museum next to Maale Adumim). According to Karaite scholars, Jews who yearned for Jerusalem and the Temple would gather on the holidays in Tiberias, Gaza and Zo'ar (south-eastern Dead Sea). In the 11th century Rafah (Rafiah, Hazor) had an organized Jewish community and Genizah documents mention their judge, Dayan and hazan. It was one of three known forts (מבצר) , the others being Dan (Banias) and Haifa. The city was destroyed by Saladdin. In the late 19th century there were Jewish attempts to build a village in the area. A documented Jewish community also existed in El-Arish in the 11th and 18th centuries. Last, but not least: Way, way south, Jews established a semi-autonomous community on Tiran Island (Yotva) in 473 while it was under Persian control. It was later reconquered by the Byzantines, who let the Jews be, until Justinian I revoked their autonomous state it in 535. Left behind in the wake of Netanyahu’s surprise unity maneuver are some serious winners and loser. There is no doubt that elections would have shaken things up, but this unity coalition shakes up things even more. What Netanyahu managed to do today is of historic proportions and has some serious ramifications for many people on both a personal and national level. We present to you our list of winners and losers. Prime Minister Benjamin Netanyahu: Winner. Bibi would probably have done well in elections, but now he runs the largest unity government ever in the history of Israel, giving him a support base not even Ben-Gurion could have dreamed of. Mofaz made a fool out of himself when he jumped ship to Kadima, but after sitting it out on the back benches behind Tzipi Livni on the back benched, he’s manages to come out on top and resuscitate the essentially dead Kadima party. Until yesterday they were completely irrelevant and simply dead in the water; the largest individual party in the Knesset was forced to face the fact that they might as well not even have been voted into office. Now they have a seat at the table, and perhaps some influence too. She could have been in the government 3 years ago, 2 years ago, and even 1 year ago. This could have been her and not Mofaz. At the end of the day, Kadima was kept in failure and disgrace because of her. Now it's obvious to all. The Likud as a party is more powerful than ever. For the most part, their individual influence and power has been diluted. Perhaps significantly. They were positioned to be the second largest party. Who knows what will be in a year and a half. They may be in for an even bigger shock in the opposition (see Ahmed Tibi below). Labor lost, but Shelly only got a black eye out of this. 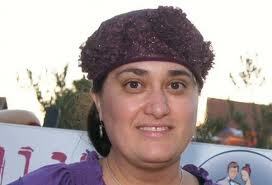 Perhaps she’ll lead the Tel Aviv summer block party, if it happens. Yisrael Beiteinu didn’t really want elections, so this is good for them. The downside, their influence has been diluted, perhaps almost completely. One of the goals of this unity coalition is to implement a good replacement for the Tal law. It may happen. Yisrael Beiteinu may even get part of the credit for it, so they can at least bask in the reflected glory. Lieberman will keep his job, avoid elections, and get the opportunity to try to pass more laws he wants. But on the downside, the investigation(s) against him will now continue, and his influence has been severely diminished. We'll see if he can make a comeback out of this. What does Ahmed Tibi have to do with this? It’s simple math. Depending on a few factors, there will be only around 26 MKs in the opposition. The Arab have the largest number of opposition members compared to Labor, Meretz (and maybe Ichud Leumi). Ahmed Tibi is poised to be the new head of the opposition. Outside, irrelevant, no following, and not going to be opposition leader. Not even the Tel Aviv summer block party will be able to help them. No explanation needed, but we’ll give one anyway. Sure he can go back to TV and perhaps try again next year, but he really lost his opportunity, even as his followers lost their enthusiasm the second he actually announced his candidacy. Obama is a partisan president, while Bibi is the leader of the largest national unity coalition in the history of Israel. Netanyahu has the support of most of the country behind him for whatever he may need to do. Obama may have hoped he’d be facing a weaker Bibi after November, there’s no chance of that now. Netanyahu and Barak are messianists, and irrational? Well, then add Mofaz too, and 80% of the Knesset. Now the former security chiefs sound like sore losers. Yuval Who? We asked the same thing. Zellner just replaced Livni in the Knesset. Until this morning, he was going to go down in history as one of the shortest serving MKs (who would never get a second chance at it either). Now he gets a chance to serve. (Netanyahu election shenanigans aside) Moshe would have done well in elections. It remains to be seen if Likud MKs will still have as much influence in the unity government, because right now his influence is through them. On the other hand, there’s a slight chance he may be entering the Knesset as a new MK to replace someone else who might be leaving. In which case, he will become a winner. In or out of the coalition, it doesn’t matter. Some new, improved Tal law will pass, and that battle will be lost. Now it’s up to them to decide if they want to work together to make it a good law or not. A new version of the Tal law will pass that will help integrate Chareidim into the work force and perhaps the army/national service, removing them from the cycle of poverty they’re currently in. And they’ll still be able to learn Torah. Exactly how good things turn out for them will depend on what their parties fight for and what they’re willing to compromise on. Really! They are just as irrelevant now (on a legislative level) as they were before, and they probably weren’t going to do that much better in the next election. But at least they got their act together and learned they can unify. That’s a very good thing. Hopefully it will last. In or out of the coalition, it won’t make much of a difference, but do they really want to sit outside with just Meretz, Labor and the Arab parties? The Supreme Court just decided to only give the government 2 weeks to destroy the homes. The new unity government is likely to do it. But they’ll probably compensate the owners at least. We'll know in a few weeks if they are really losers here or not. For the most part, we won’t see another Hitnatkut (expulsion), and Bibi may legalize more outposts and pass laws to help others, perhaps even annex settlement blocks or area C. As long they stay out of direct conflict with the Supreme Court, individual settlements should be safe. Overall the Settlement Enterprise should be OK.
Kadima is on their side, and will block legislation that will put limits on their extrajudicial expanded powers. They’re like deer in the headlights, completely surprised by what happened. As an aside Israel saved NIS 400 million on election costs. National Unity is a good thing (for all the vague reasons). It also means that the country is united in whatever challenges it may need to face with Iran. Perhaps we'll also see a real revamping of the government system. They don't even have a pony in this race. There’s a much higher probability that with such a large unity government, and with (the Iranian) Mofaz at Bibi’s side, that a strike against Iran's nuclear weapon production facilities is very likely. Perhaps there will be more outside support to help them overthrow the Islamic regime. National unity is a good thing in religious thought. So overall, this should be good for the Jews. You may ask, "How did this tradition get started?" Back when I first started writing about our history, I wrote that we often wrongly think that everything we do today is based on the Babylonian Talmud. Ancient Israeli customs still live and breathe, though many times we're not aware of it. They pop up everywhere: from holding our hand to the candle during the Havdala ceremony to giving the bride a wedding ring. Around the year 700, an Israeli Jew listed the differences between the Israeli and Babylonian customs of his day. This list, with Rav Mordechai Margaliot's study on it, is available online at HebrewBooks. The author did not have to travel to Babylon in order to compare the two traditions. There were many Babylonian Olim in Israel who lived in their own "Bablo-colonies", upholding their own traditions, and for all intents and purposes, still living in Babylon. In some cases, they tried to enforce the Babylonian tradition on their native Israeli neighbors. The author, who was apparently trying to convince the Babylonian-Israelis to adopt the Israeli custom, listed 50-odd differences. It is not a complete list. Some differences he neglected to mention became burning issues for the Babylonian rabbis in the upcoming century. Our Israeli author mentions three differences in the marriage ceremony traditions: The Sheva Brachot, ring and Ketuba. Each tradition developed differently. * The Sheva Brachot (Seven Blessings) - the Babylonian custom was to say seven blessings during the marriage ceremony, while the Israeli custom was to say three blessings. The Babylonian tradition was codified in the Babylonian Talmud and won over the Israeli one. Today we don't even know which three blessings our Israeli ancestors said. * The Ring - Israeli tradition was to get married with a ring, while the Babylonian tradition was to get married with anything worth a nominal amount ('shve peruta'). At some point the Babylonian tradition was to marry over a glass of wine. In Babylon people got married at a much younger age, and the groom usually conducted the ceremony with the bride's father. In Israel, on the other hand, the marriage age was higher, the bride participated in the wedding ceremony, and the groom had incentive to give her something she would appreciate. Jewelry, specifically a ring, became the norm. So much so that giving a ring was enough to contract a marriage. Rav Margaliot points out that when traditions face off against each other, and were not codified in the Talmud, the Israeli tradition usually wins out. Though a few Sephardi communities held on to the Babylonian 'glass of wine' tradition, marriage by ring became the Jewish norm. * The Ketuba (marriage contract) - Israeli and Babylonian rabbis disagreed whether the Ketuba was Torah or Rabbinically mandated. Both traditions were codified in the respective Talmuds. The dispute had practical applications involving the wording of the Ketuba and its monetary value. In this case, the Israeli tradition generally held its own against he Babylonian one. The Ashkenazi Jews upheld the Israeli tradition, while the Sephardi Jews upheld the Babylonian one. Reposted, it it's entirety, with permission, from the Ki Yachol Nuchal Blog. Yom revi'i, 10 Iyar 5772. 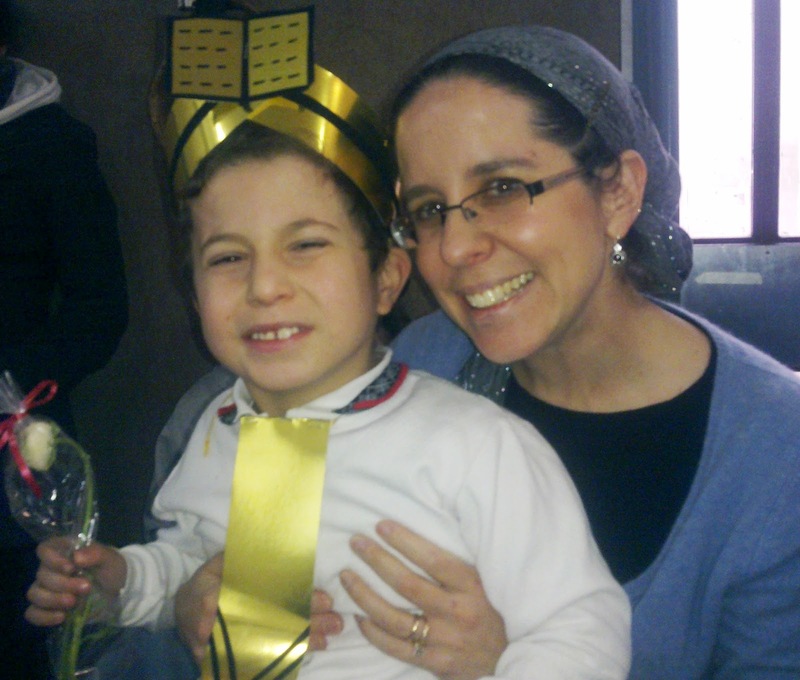 Kochava – Yehuda’s nursery school teacher, who had taught him, and adored him, for two years in a row. She was murdered by terrorists within hours of greeting us at a back to school night at the beginning of what was to be Yehuda’s third year in her warm embrace, an embrace that evaporated in a spray of bullets. 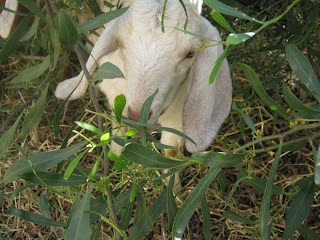 Though she has been gone a year and a half, Yehuda, now almost eight years old, still refers to her often. The pure and raw prayer of a mentally disabled child. The pure and raw emotion of a soul unable to comprehend the hatred that leads to murder, but masterfully gifted in absorbing and offering love. A few weeks later, I finished a work meeting in Jerusalem, and was relieved that due to careful planning in advance, I would be free for the next thirty minutes. I had set aside that time before and after the Yom Hazikaron siren for undistracted private moments of reflection. Yom Hazikaron has become more and more personally meaningful in the five years since we made aliya. Fallen soldiers and terror victims are no longer a list of anonymous names, but are now my neighbor’s brother, my colleague’s uncle, my son’s nursery school teacher. And with a draft letter for my oldest son already sitting in the house, Yom Hazikaron is also a sobering reminder that I too, am about to be drafted, into that elite unit of Israeli mothers who are proud by day and sleepless by night. I spent the fifteen minutes before the siren in front of the computer, watching interviews with parents, and siblings, and girlfriends of soldiers who died in military training accidents. The interviews were broadcast as the familiar notes of Yom Hazikaron’s mournful songs played in the background, a holiday soundtrack so uniquely Israeli. 11 a.m.: as the siren blared, softly at first, and then strengthening in its haunting blast, my tears were already falling. I moved closer to the window, ten flights up from the street below, to watch the cars pull over to the side of the road, and the pedestrians stop midstep, as all joined in a united moment of silence and prayer. In those opening seconds of the siren, my thoughts were focused on Kochava, and on the bereft parents interviewed online, and on my son’s draft notice. I thought about those parents’ acceptance of their tragedy, their talk about finding meaning in moving forward, and in living life as a memorial to the goodness of their sons. My eyes moved from the still cars below to the apartment building under construction across the street. Standing at my tenth floor perch, I was able to see directly into the open window of a room in which three Arab workers hovered over a large piece of metal. I heard myself gasp as the siren hit its loudest pitch, for at that moment, the workers dropped their tools, and in the room high above the street below, began to dance together. And laugh. And dance some more. And as the tears of the Israelis on the street below flowed, these workers danced. I desperately wanted to believe that their dancing was in no way connected to the wailing siren, but the timing of their smiling nods at each other as the siren blasted was painful to observe from my hidden vantage point, which at that moment felt so very far away from those workers, who were in fact just a few feet away from me. My vision was blurred by my own hot tears as my mind jumped to the parents of the fallen soldiers, and then jumped again to Yehuda crying out with his harmonica for Kochava, and then jumped again, as our thoughts do without our control, to the image of a triumphant Palestinian gleefully waving his bloodied hands out the window to the rowdy crowds on the street below, hands bloodied as he and his friends savagely murdered two Israeli soldiers who had taken a wrong turn in Ramallah over ten years ago. And now, I watched through the window as these workers danced to the sound of the siren. My stomach tightened as I imagined them dancing on Kochava’s blood, dancing on the blood of those soldiers in Ramallah, dancing on my tears, and on the tears of those in the still streets below. And as I watched them, my sobs of anger turned to sobs of despair: How can I talk peace with people who dance on our blood? I thought about the dancing I witnessed earlier that day, and about the dancing I was watching now. And I thought about my question of despair: How can I talk peace with people who dance on our blood? And as I looked at Yehuda’s eyes staring up wondrously at the fireworks, I felt comforted by the answer to my question: Our only hope lies in our emunah, our belief -- and the hopeful emunah of this wondrous country seems to be as strong as ever. 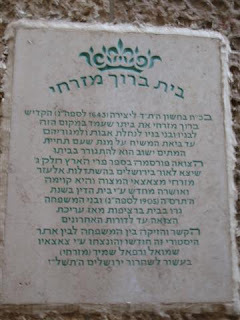 Baruch ben David Mizrachi came to Jerusalem in the early 17th century. There he bought a building with 5 rooms-apartments on what is now Ha-Malach street, by the Armenian Quarter. Jerusalem wasn't a very attractive place back then. A Jew of that period wrote a chronicle of the evil reign of Ibn Farouch, who was so despotic he had to close the city gates to prevent the people - Jews, Christians and Muslims - from fleeing. In 1643 Baruch willed the house to his sons on the condition that it will never be sold and that when Messiah comes, he will get it back "so that I will have a house here in Jerusalem, may it be speedily rebuilt, when our Messiah comes". Indeed, the family never sold the house and lived there continuously until the 20th century. Baruch had many famous descendants, among them Rabbi Nissim Chaim Moshe Mizrachi, who served as the Rishon Le'Zion (Chief Rabbi) in the 1740s and who, together with his brother, Rabbi Israel Meir Mizrachi, was known as the "Eastern Lights" (Nerot Ha-Mizrachi'im). In 1905, a dispute arose between one of Baruch's descendants, Elazar Eliyahu Mizrachi, and a neighbor. The neighbor had built a wall right up to the Mizrachi house, making one of the rooms unlivable. The court ruled in favor of Mizrachi and ordered the neighbor to pay compensation. Elazar Eliyahu produced the will and explained that compensation amounted to selling the house and would be against his ancestor's wishes. However, he had a responsa manuscript, "Pri Ha-Aretz part 3", written by Rabbi Israel Meir Mizrachi, which had not been published yet. He suggested the neighbor pay for the printing of the book, and enjoy all the profits from it, except for a set amount of books he'll gift to Mizrachi. That way the book will get printed, Mizrachi will get some compensation, and the neighbor will not pay for the house. The court agreed, and the book's introduction includes the court's decision as well as a reprint of the original will. After the Six Day War, Israel confiscated the homes in what is today the Jewish Quarter (which did not exactly correspond to the 'Jewish Quarter' before the Jordanian occupation), and gave the former residents compensation. The Mizrachi family refused to accept compensation, which would amount to selling the house. Instead, they asked a sign be put up on the building, telling its story. Since then Jerusalem mayors have promised the family that at the end of days, when the Messiah comes and Baruch Mizrachi shows up, ownership will revert back to him.